Yes, all of the animation is 100% PowerPoint, no video was used. Yes, several of us used the new Morph animation/transition. The opening and closing segment of the snowman was PowerPoint, but no animation, just very fast auto transitions to create a stop motion style effect. No, we did not add the music in PowerPoint. Well, the Cat Meowing Christmas Carol was part of Amber’s animation, but the full track was added after the PowerPoint animation was exported (so we did use a video editing app, but only for the music bed). 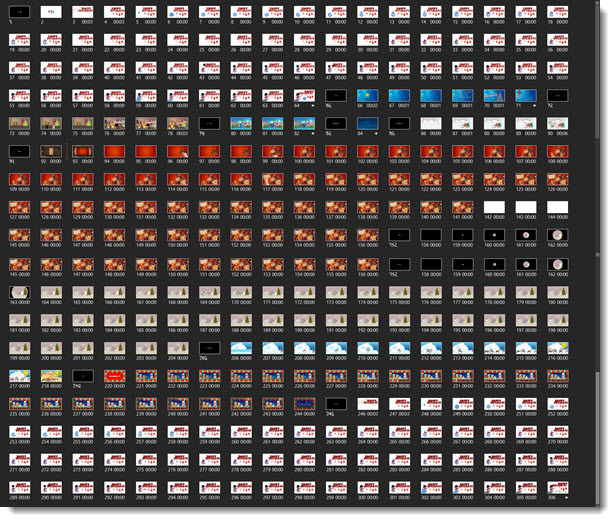 We compiled all animation files into a single PowerPoint slide deck and exported that as a single video. There was a total of 306 slides in the compiled presentation.